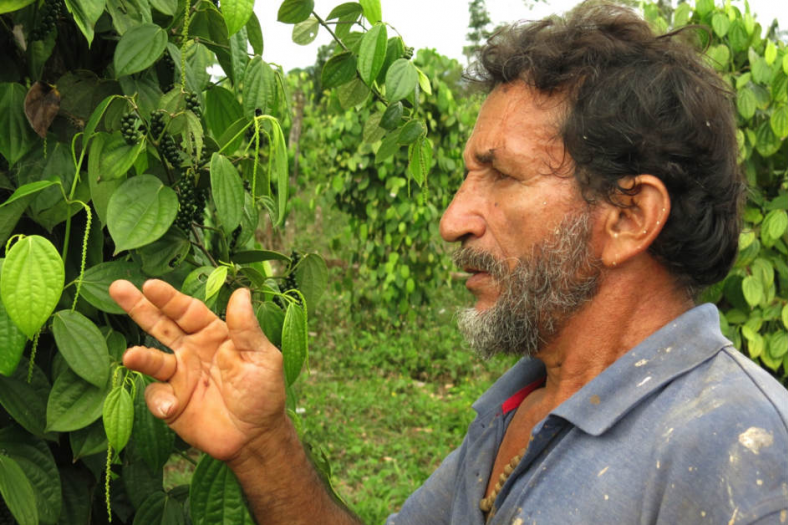 On April 28, 2011, Victor Burgos went out after lunch to pick the corns of pepper plants growing on his farm in Putumayo, Colombia, when a plane flew overhead and dumped a fine spray of liquid all over his land. Within a year, he lost more than half of his food crops—primarily peppercorn, but also yucca, pineapple, plantain and more. His yearly income dropped nearly 80 percent, while the soil of his 250 acres overlooking dense tropical forests is now irrevocably polluted. His water sources are contaminated too.